Mr. Ashok Jain is the Chairman of Jain Irrigation Systems Limited (JISL) and a well-known entrepreneur working for agriculture over past 4 decades. He is 54 years old and eldest son of Late PadmaShri Dr. Bhavarlal Jain, the Founder Chairman. Ashok obtained his degree in Commerce from University of Pune. He is an avid sportsman and has represented his alma mater in Cricket, Badminton, Hockey and Football.Ashok took a keen interest in the family business as a student. He did internship at Mumbai office on Import-Export andin general administrationin Jalgaon in his early career. In 1989, Ashok Jain began to look after sales and marketing of pipe and drip division and was tasked with additional responsibility of HR and Public Relation function. Appointed as Director of Jain Irrigation in 1993, he built extension services department for farmers throughout the country. In 1996, Ashok Jain was appointed as Vice Chairman of JISL and began to support commissioning activities of the Food Processing Division and creation of fruit and vegetable supply chain.Currently, he oversees the Food Processing Division and Green Energy Product Division in addition to being in-charge of Group’s overall Policy Making and Administration. He has built experience and expertise in all Divisions of the Company.He leads company initiatives in maintaining relationship with farming community.He ideates and implements philanthropic activities of the firm as well as founding family. He is a Trustee of Gandhi Research Foundation, Vice President of Maharashtra HarijanSevakSangh and Founder Director of Mahaveer Co-operative Bank.Government of Maharashtra has appointed him as Chairman of the Board of Director of Government Engineering College, Jalgaon. Previously the Government had appointed him as a Member of Maharashtra State Board of Technical Education.Central Govt. of India has nominated him on the Board and Society of IIM Raipur.He was nominated as a Senate Member of North Maharashtra University, Jalgaon. 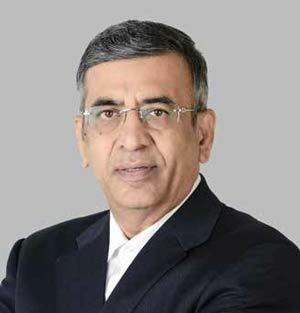 After passing of Founder Chairman, Shri Bhavarlal Jain in 2016, Mr. Ashok Jain has been appointed by board of JISL to become the Chairman of the Company. He continues to lead the company on the path set by his father.He has been felicitated by various Organizations for his social contributions and for entrepreneurship. Visitors: 0019752 (From new site update on 12/02/2018 03:20:26 Hrs) Website last updated on: 05/09/2018 00:18:46 Hrs.